The Ninja Professional Stackable Chopper is a handy, portable solution that takes all the hard work out of food prep. 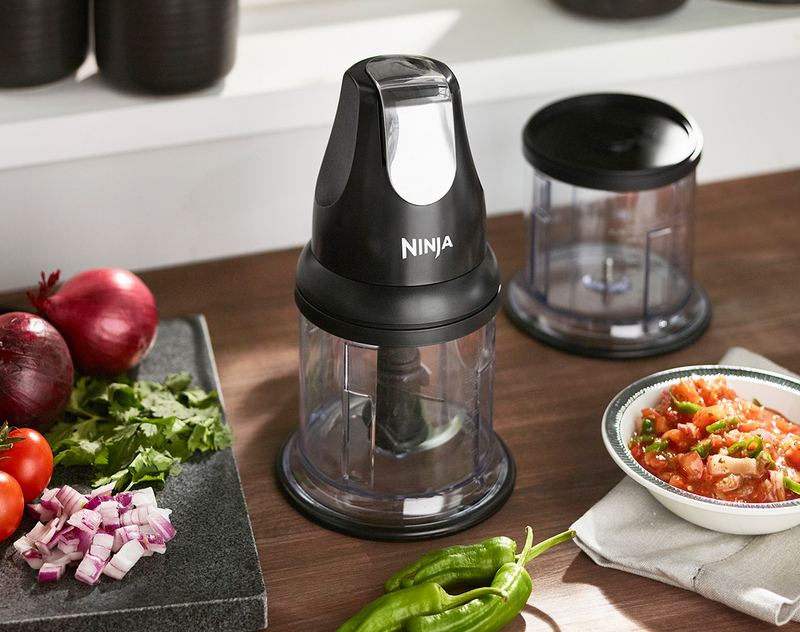 Say goodbye to mush and hello to precisely chopped ingredients with this small but mighty chopper. 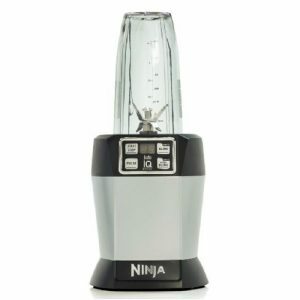 Ninja Professional Stackable Chopper 200W – NJ1002UKBK has been added to your basket! 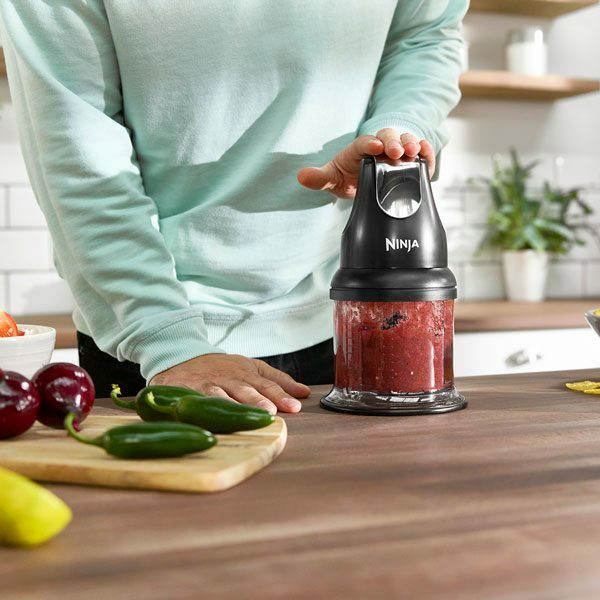 The pulse action perfectly chops vegetables evenly with no more mush, minces and purees ingredients in to dreamy dressings and sumptuous sauces. 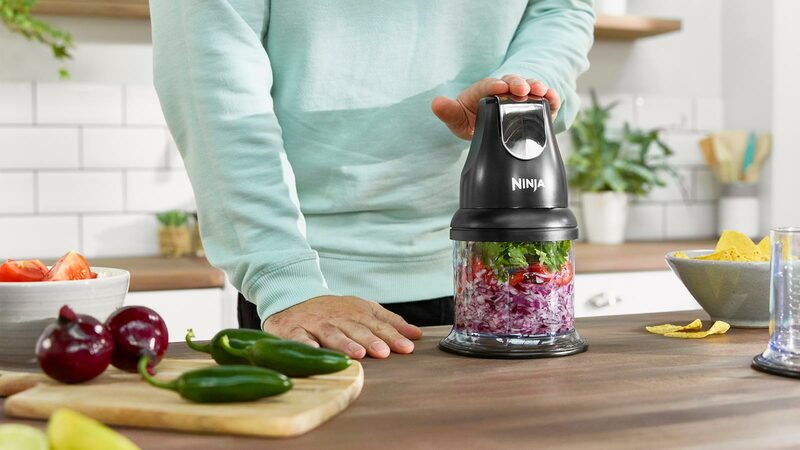 Ninja’s super-sharp blades save you time and effort, chopping, mincing and pureeing vegetables, herbs and spices in seconds. 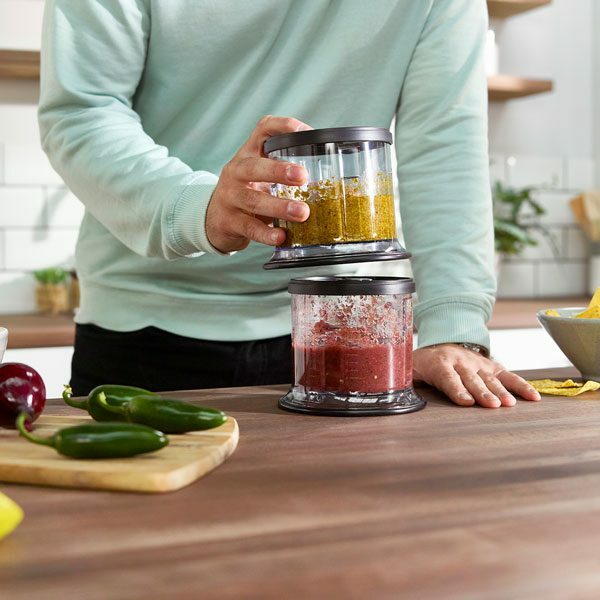 The tight seal splash guard doubles up as a lid, so you can create delicious dips and sauces in the bowl, seal and store for later. The bowls comfortably nest on top of one another for smart, space-saving storage. 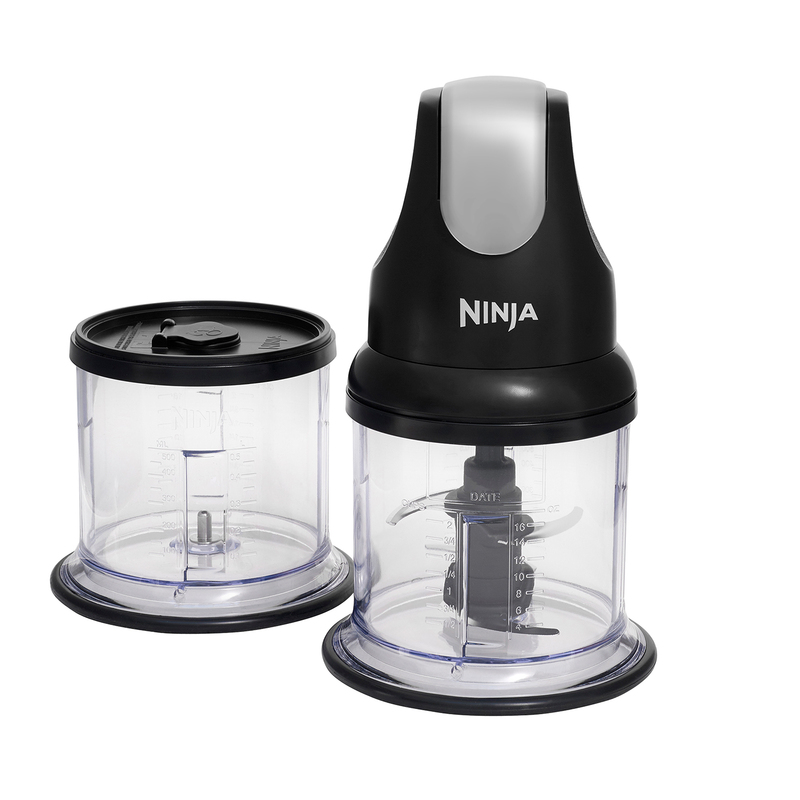 The Ninja Professional Stackable Chopper is a handy, portable solution that takes all the hard work out of food prep. 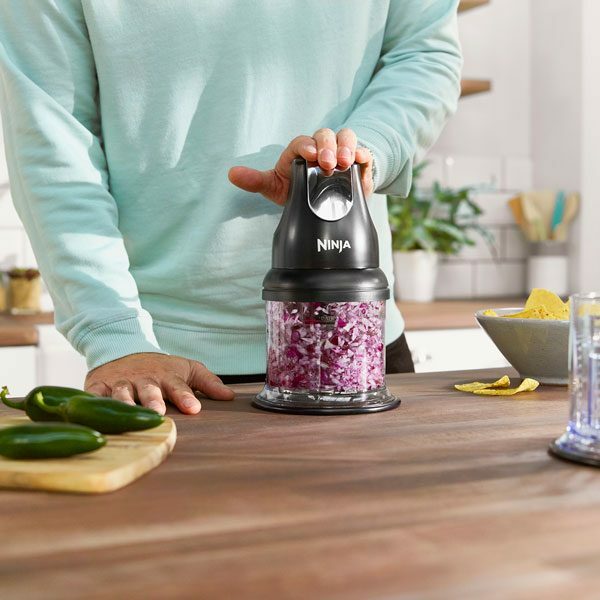 This compact yet powerful device allows you to chop and prepare ingredients with precision, in a matter of seconds. 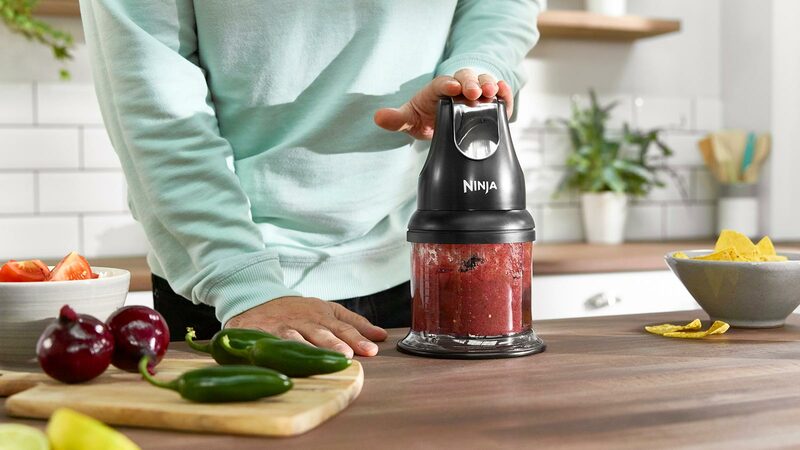 Complete with two sealable containers, a portable blade and a blending pod for safe, quick and simple chopping, no matter where you are in the kitchen or how much space you have to work with. 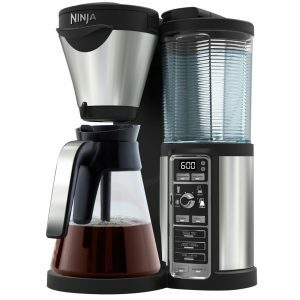 Whether chopping, grinding or blending, all you need to do is place the blade in the cup, add the pod on top and pulse. It really is that simple. The result? Wonderfully prepped ingredients ready for you to cook up a storm. Made too much? No problem, as each pack comes with handy lids. 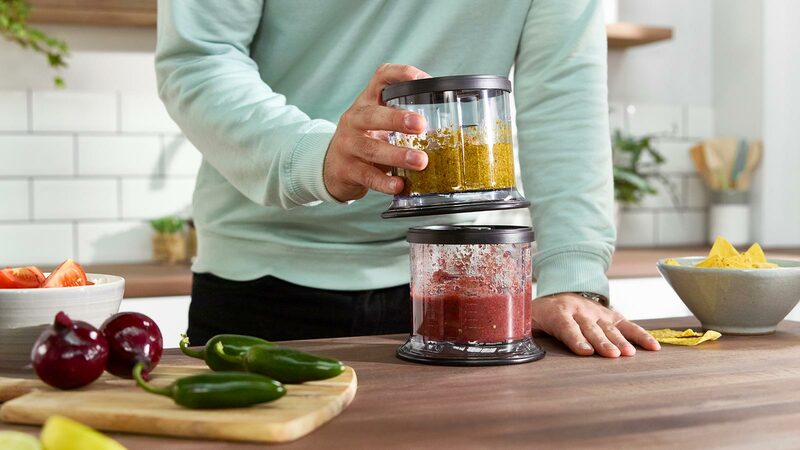 Place directly on the blending bowl and refrigerate to keep your sauces, dips and chopped ingredients fresh for longer. Struggling for storage space? The cups are designed for stacking, neatly storing away. 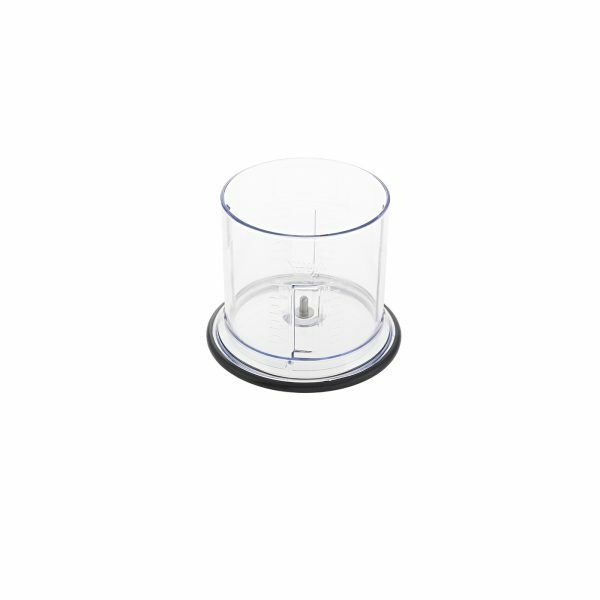 We’ve also made cleaning easier than ever, ensuring ALL removable parts are dishwasher safe. 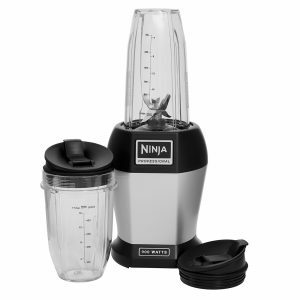 The Ninja Professional Stackable Chopper makes food prep easy. Don’t just take our word for it, check out our reviews below! 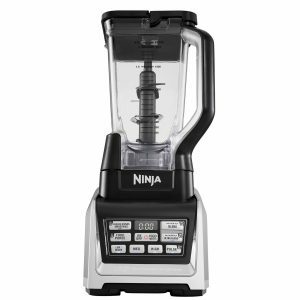 Ninja Professional Stackable Chopper 200W – NJ1002UKBK is rated 4.9 out of 5 by 58. 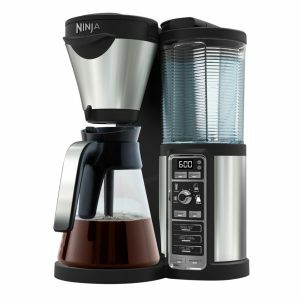 Rated 5 out of 5 by Nick2019 from Mr Excellent product so far. Does all what I was looking for. Rated 5 out of 5 by Kay786 from Best buy I bought this after a friend recommendation and can say it did deliver expectations. Its really good and chops food really fast. Made onions chopping a piece of cake. Rated 5 out of 5 by Sandie from Love it! I wondered whether this would be another one use wonder, consigned to the cupboard, but I don’t think it will! Very useful size, neither too big nor too small to keep in the worktop. 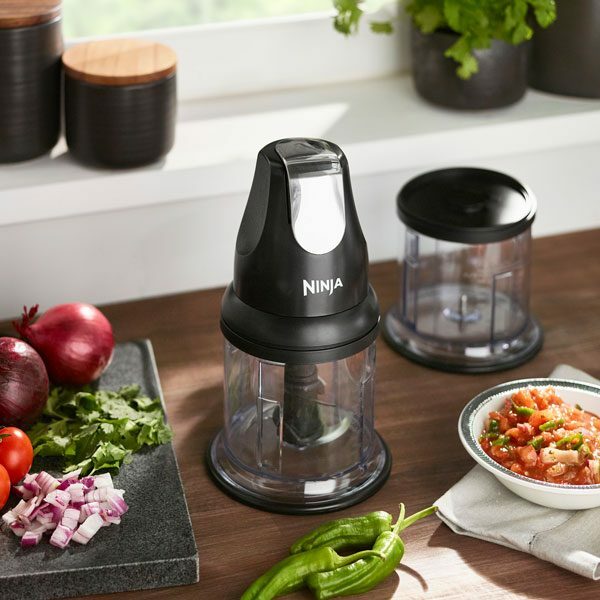 Very easy to use, effective chops and blends, excellent for breadcrumbs, a quick guacamole, curry paste, salsa, herbs, chopped onion and garlic, tapenade - endless possibilities! Best of all, quick and easy to wash and dry! Very good value for money. Rated 5 out of 5 by Queenie from Great machine Works like a dream chops in seconds , remove the blade and it’s a handy storage tub with lid. Great purchase!!!! 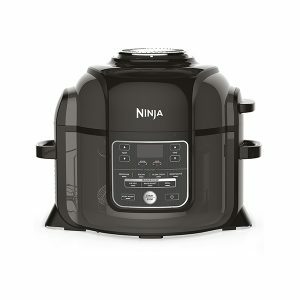 Rated 5 out of 5 by Shazz2008 from Brilliant chopper Bought this as i cook alot and its brilliant chops anything in seconds,i recommended it to my sisters and both of them bought one too after seeing mine. Worth every penny. Thank you.